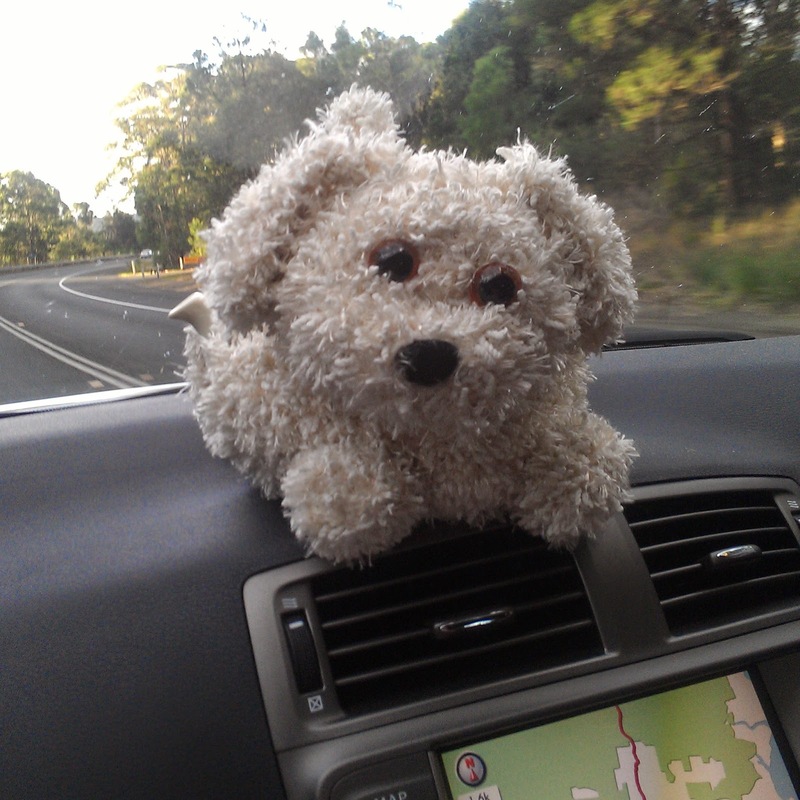 Travelling north, and knitting and crocheting as we go. 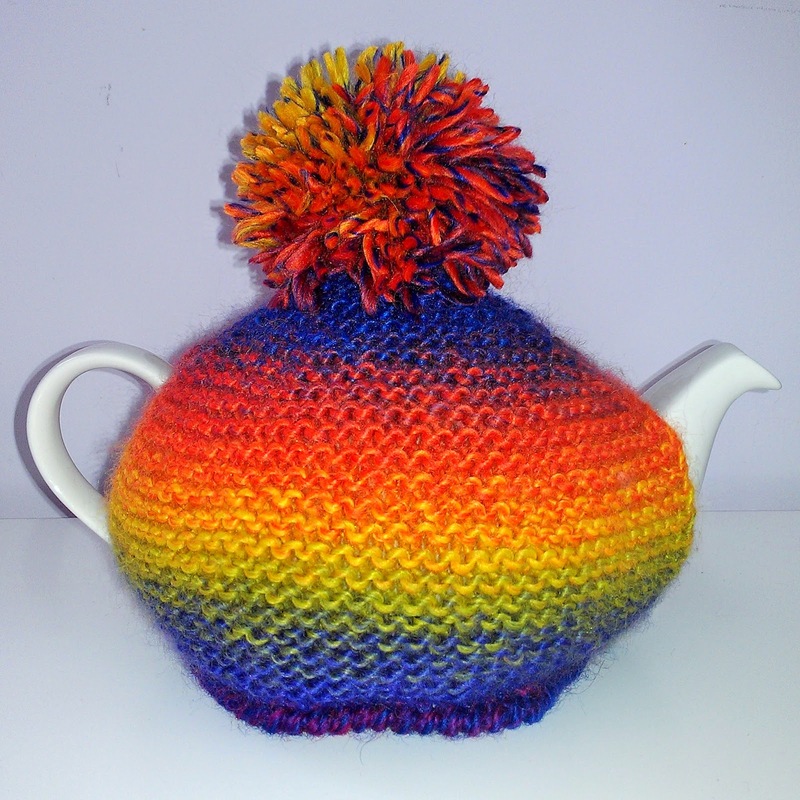 This is a version of the fluffy puppy tea cosy (look on the 'Animal tea cosy' tab.) This little guy (actually it may be a girl dog; Louise...) has slightly bigger paws (2 extra rows on each paw); and a fluffier face (stripe the fancy yarn with the double 8 ply yarn for the whole face). You can just see the spout sticking out on the left of the dog; it really is a tea cosy!Hope you're all working on your entries to the Tea Cosy Competition; just one month to go to get them in! 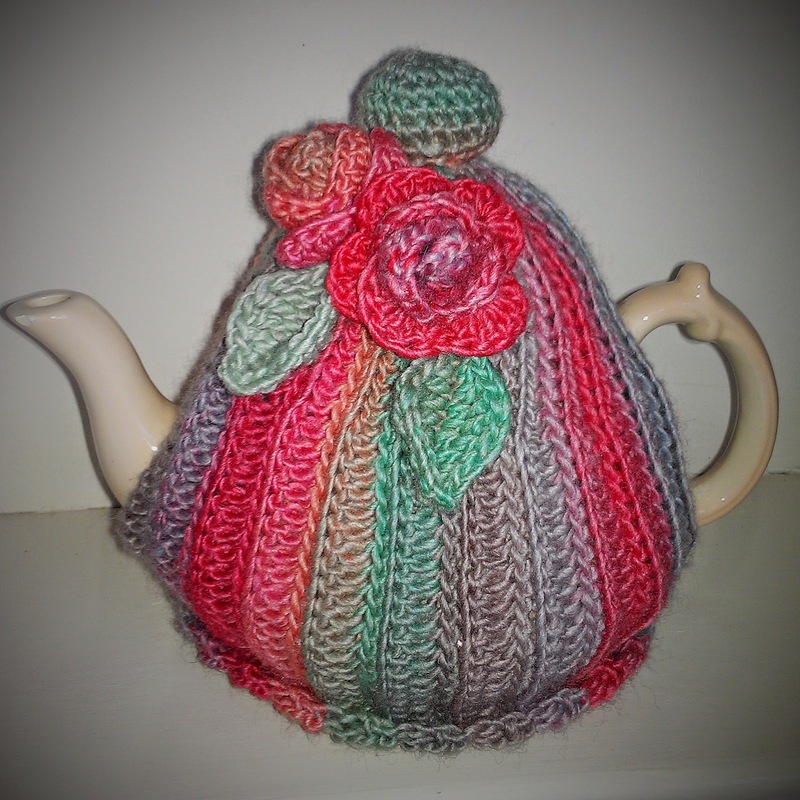 Roses tea cosy; a mixture of knitting a crochet....the body of the cosy is knitted in moss rib stitch. The lower edge is crocheted in shell stitch. 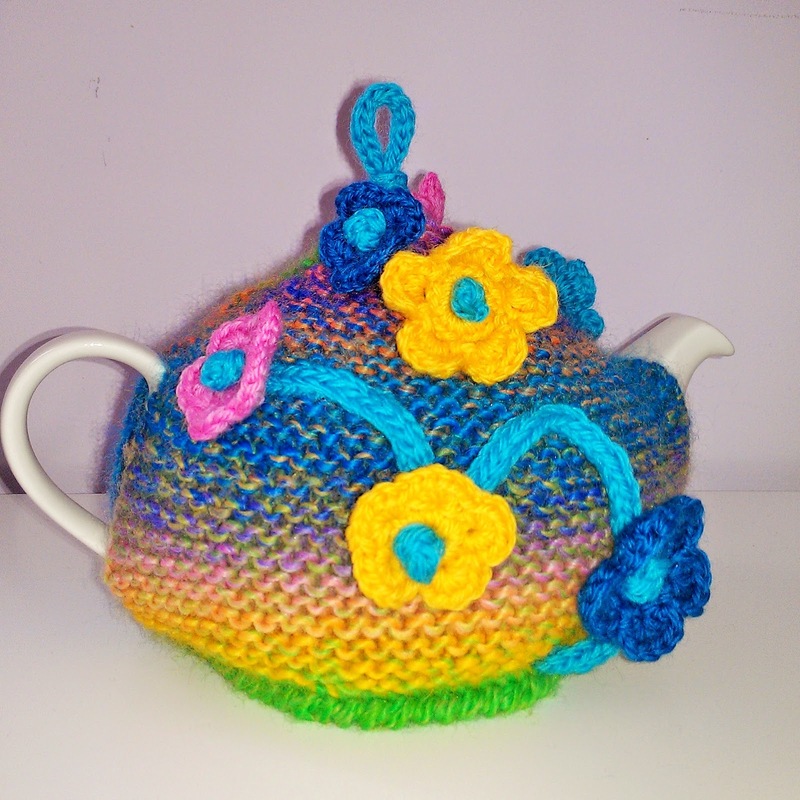 The flowers and leaves are also crocheted, large roses around the outside and rosebuds in the centre. 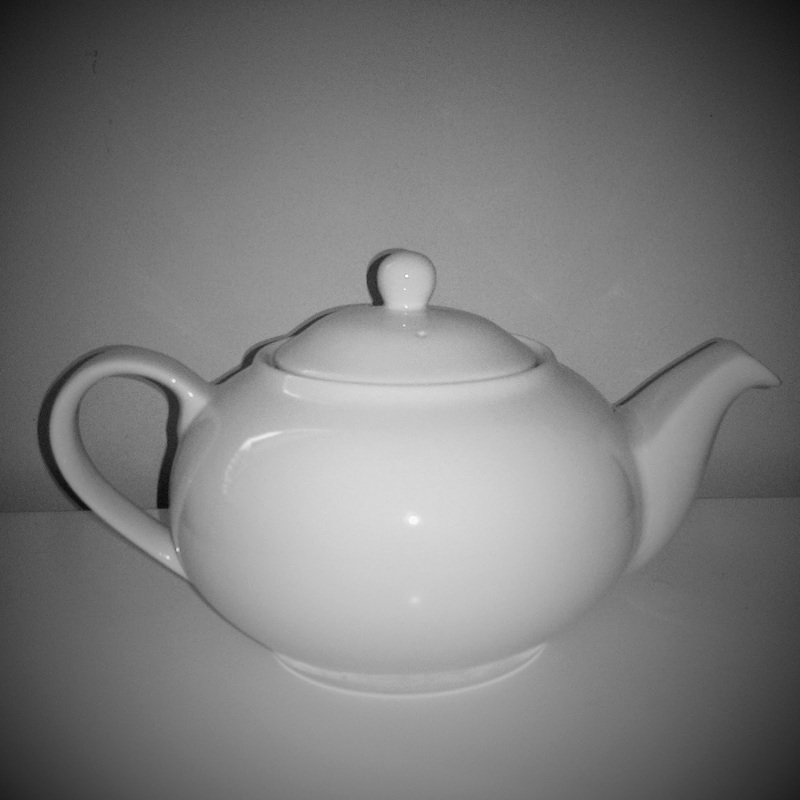 I'll put the patterns on the blog in the next few days. 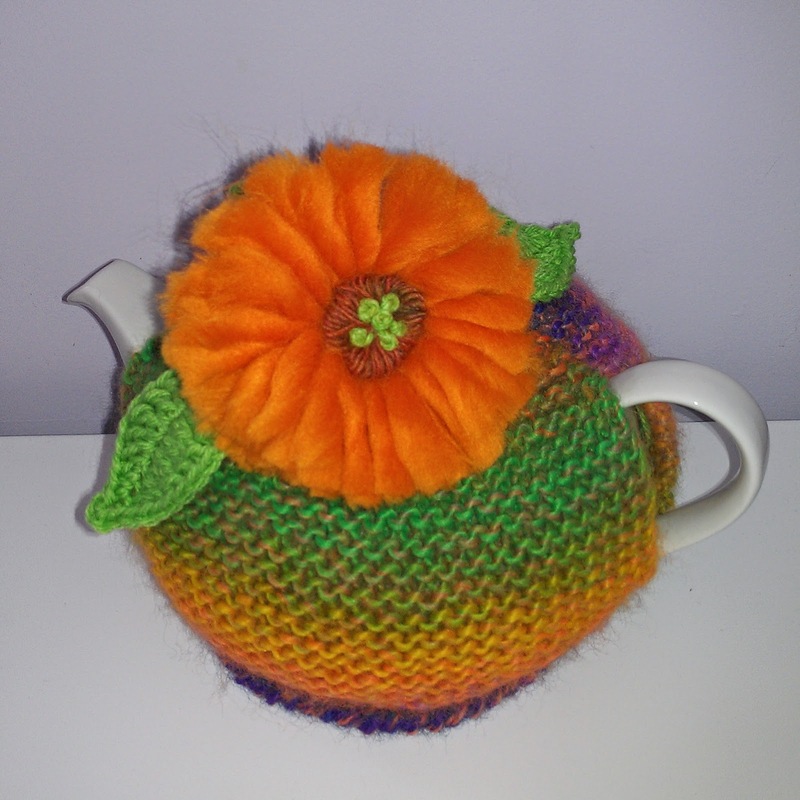 I hope this gives you some inspiration for your entries in the Tea Cosy Competition. Entries need to be received no later than 27th June, 2014. Have you checked out my Facebook page? Just type Tea Cosy Competition in the 'search friends' bar. Make up one of my patterns, one of your own, or whatever; send it in by 27th June, to help us raise funds for the Cancer Council. You may be the $250 first prize winner! Start sending you cosies in now! 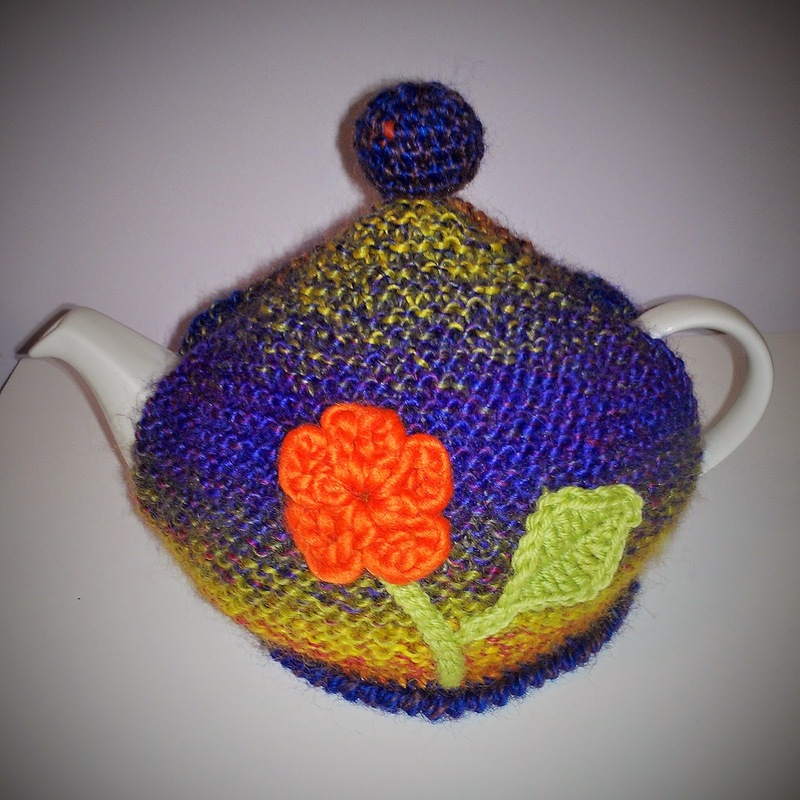 Click on the tab above for the Gerbera tea cosy. I put these patterns on sometimes fairly late at night, and don't always proof read, so please let me know if I've missed something, or have written something that is wrong or nonsensical. 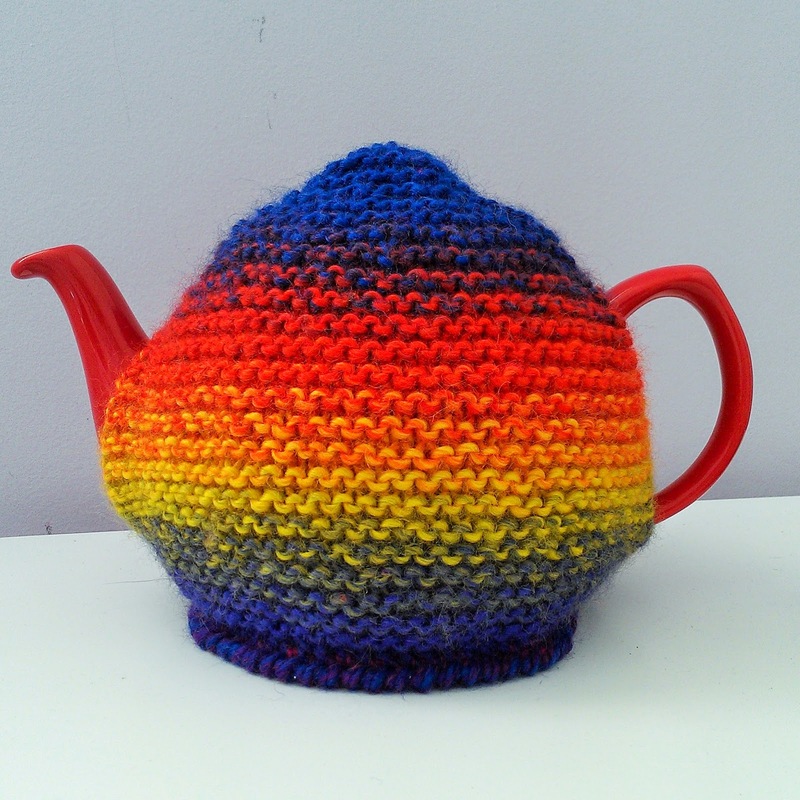 I hope you're all making tea cosies for the Tea Cosy Competition; send them to PO Box 109, East Ringwood 3135, Victoria, Australia, or drop them in to one of the places listed on the Info tab above. 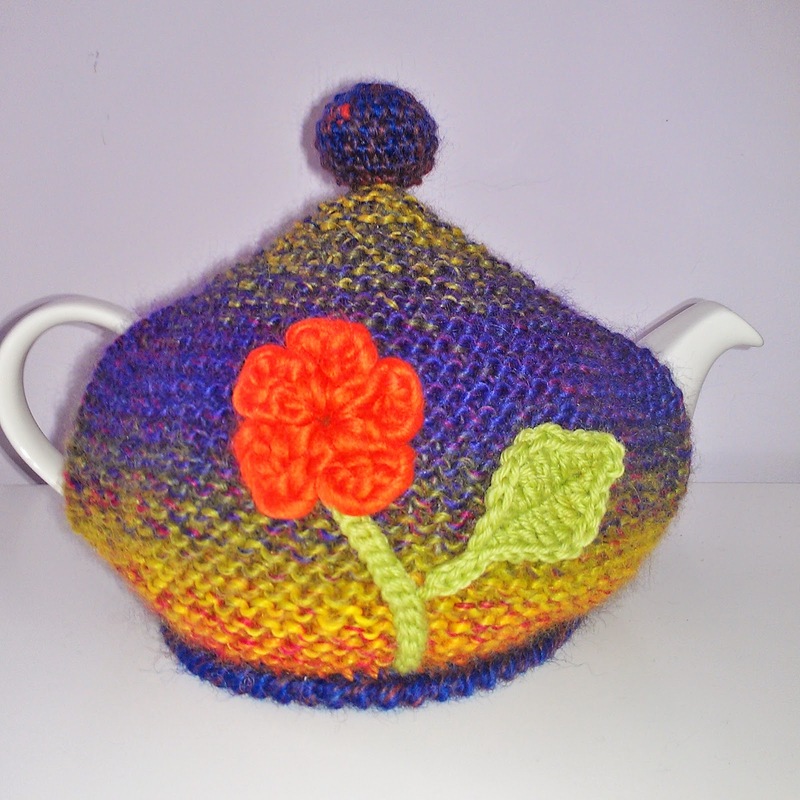 Some ideas for decorating a basic knitted tea cosy. 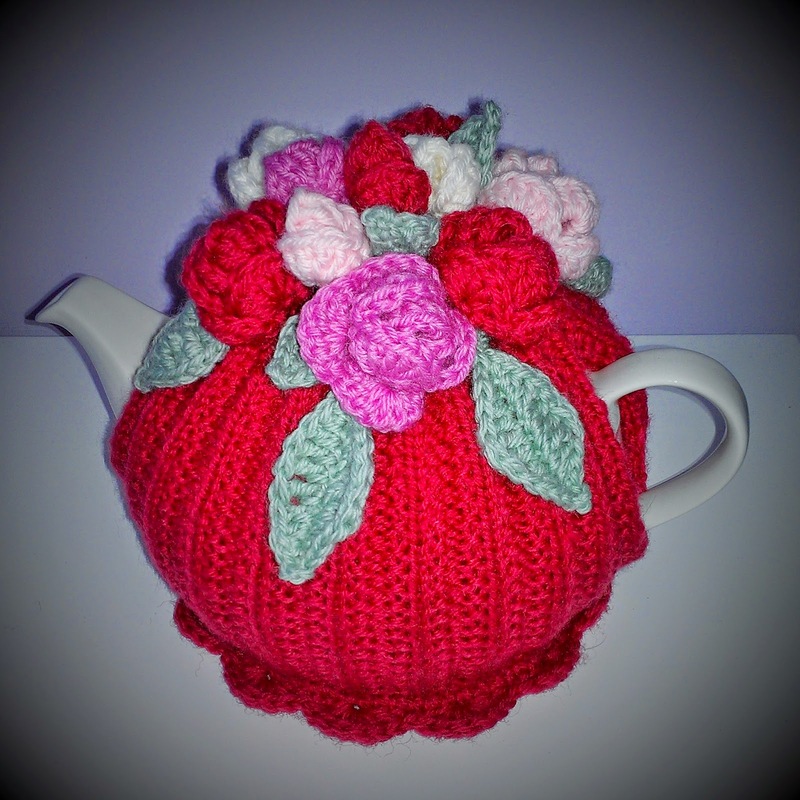 I've just finished writing up the instructions for the pink rose tea pot below, under the Crochet tea cosy tab. 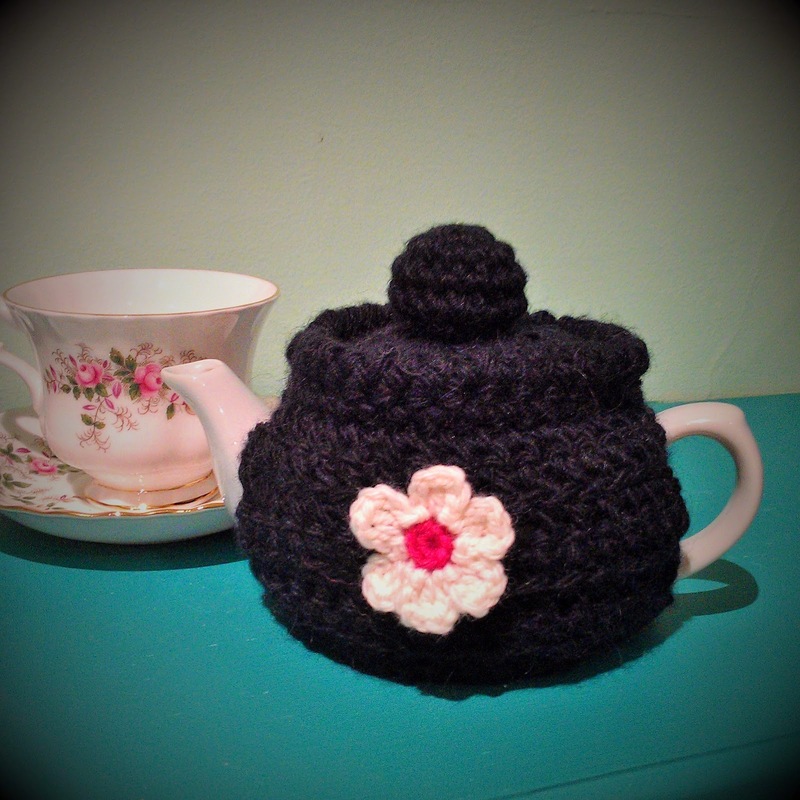 Also, the tiny black tea pot is another crochet project; it took just a few hours to make, in between cooking and eating dinner; a very, very, quick project! Pattern appearing soon! 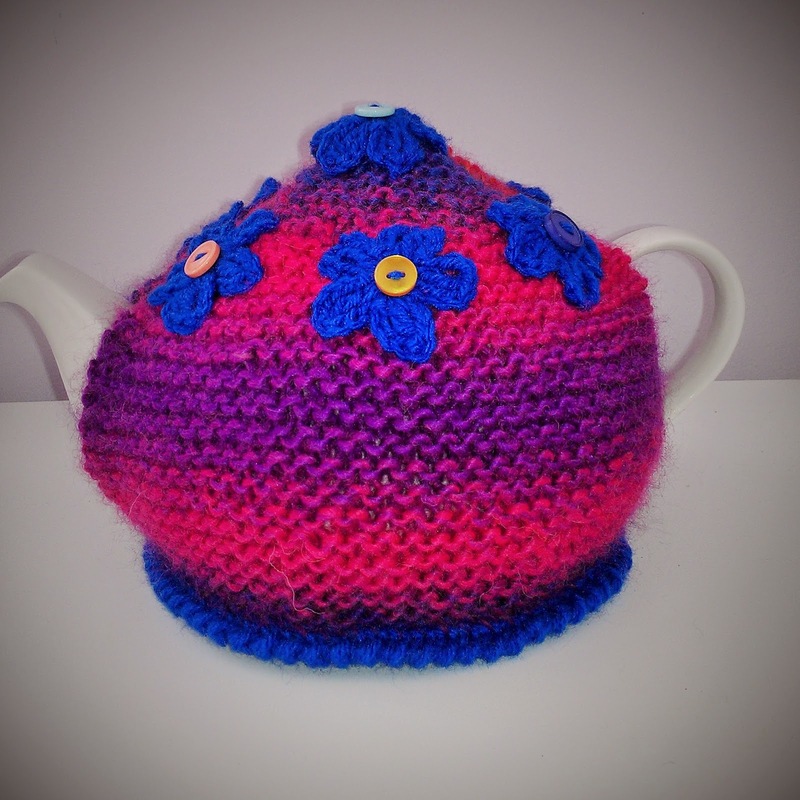 I've been working on some patterns for crochet tea cosies; nearly finished writing up the instructions! 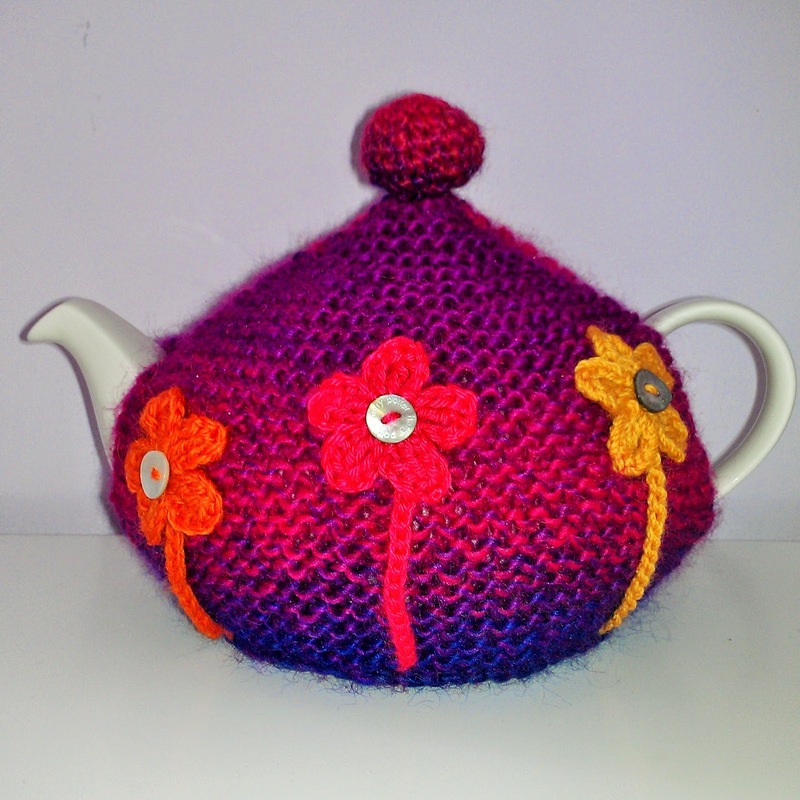 There's been a great suggestion for the Tea Cosy Competition entries.....many tea cosies that are being made for the fund raiser have a story behind them.....what we'd like you to do if you do have a story, is to cut out a 5cm square of card paper, write your (brief) story, or poem, and attach it to your cosy. The person who buys the cosy will then know the story behind it. For example, the Oliver Cat cosy is special to me; because it's made to look like my daughter's cat; she died of breast cancer five years ago; now her cat (who is alive and well, and lives with me) can help with fund raising....I'll have to phrase that a bit better and write on a card. Will post a photo.